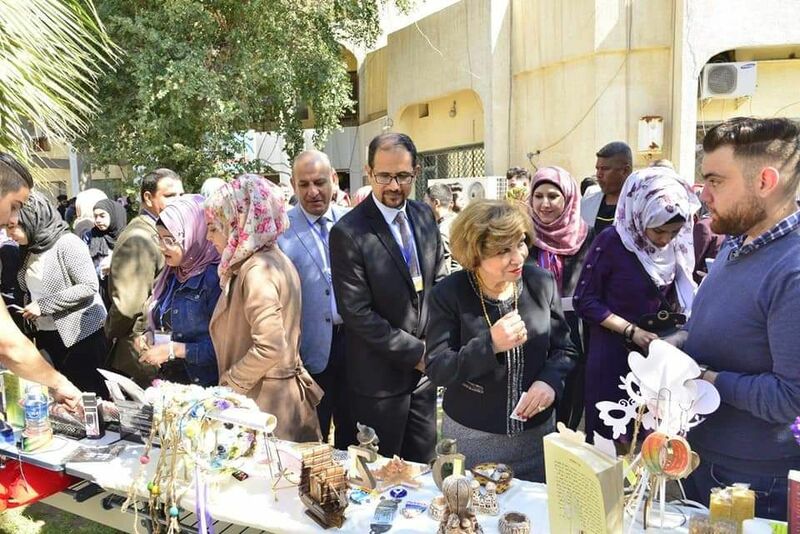 Faculty of Engineering Organizes a Charity Market. 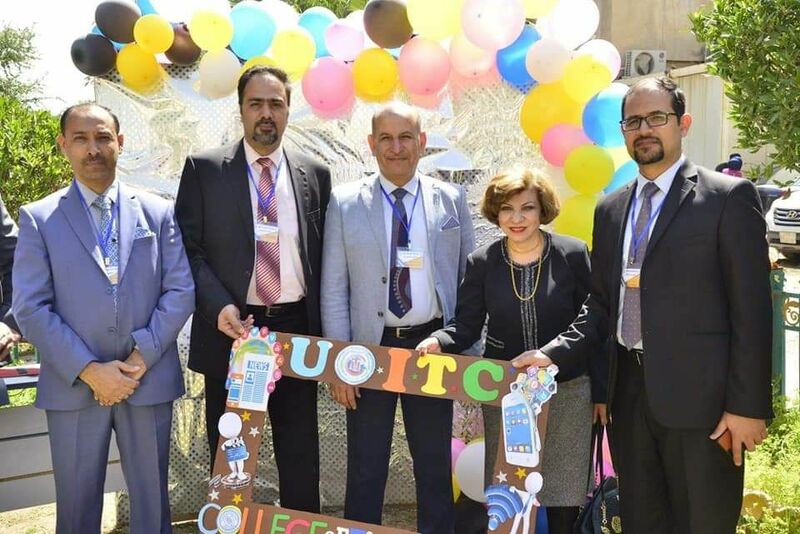 The Faculty of Engineering at the University of Information Technology and Communications organized the first charitable exhibition for students and staff of the College in the presence of the Vice President for Scientific Affairs and the Dean of Business Information College. The exhibition was opened by reciting verses from the Holy Quran followed by playing the national anthem and reading Al-Fatihah on the souls of the martyrs. 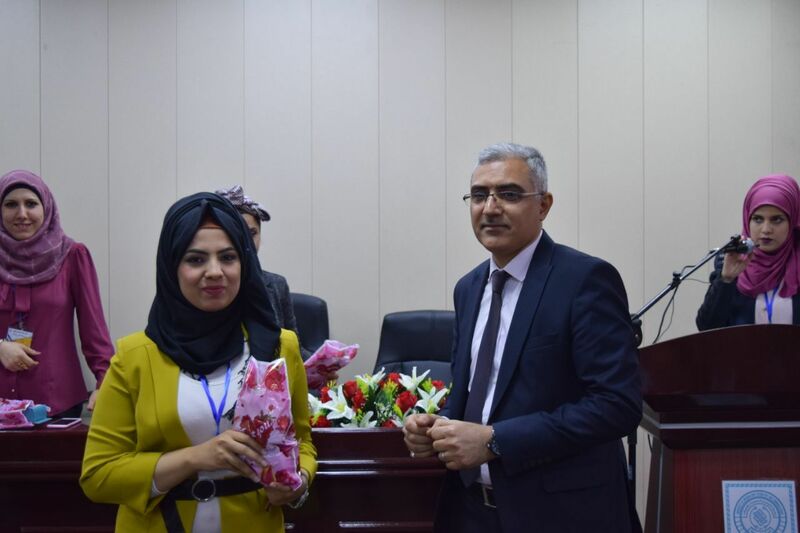 Then, the Assistant of University president for Scientific Affairs Dr. Jane Jalil Astephan gave her speech. 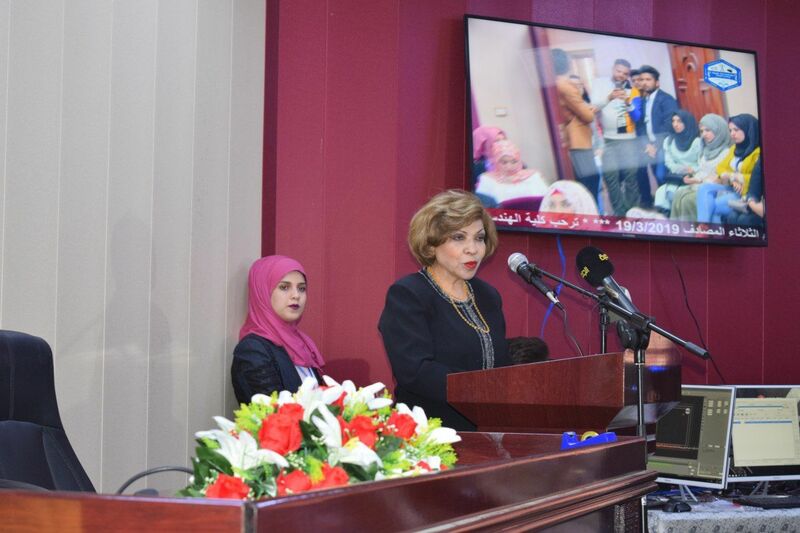 She praised all the efforts made to organize this exihbit which asserts on responsibility, cooperation and altruism, eliminating class differences among students, developing their talents and strengthening their relationships. 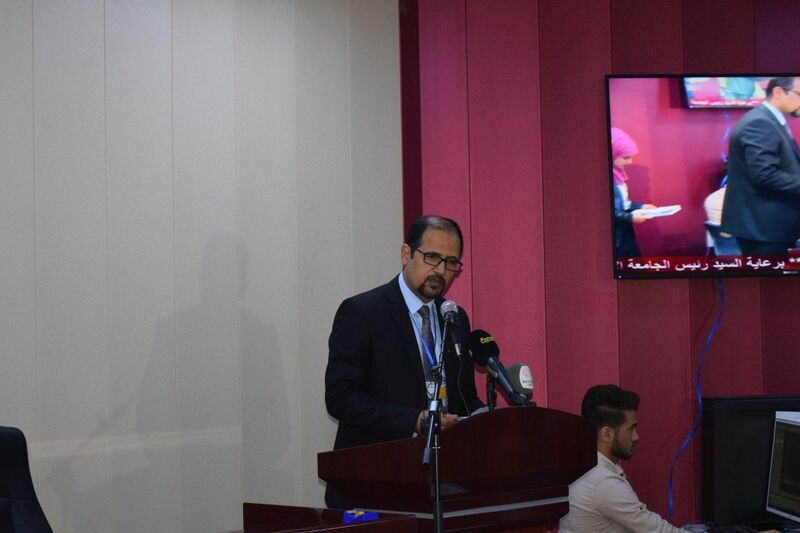 The Dean of the Faculty of Engineering, Dr. Muayed Abdul Redha, expressed his sincere appreciation and gratitude to all organizers of this exhibition, pointing out that this is a kind of training and skills development to keep pace with the requirements of the age, stressing the need for collective thinking process to work on solutions to problems. The Faculty of Engineering is interested in student activities, especially those that enhance their mental abilities and develop their talents and skills. Hence the idea of ​​organizing the annual exhibition of the College of Engineering, which establishes the principle of teamwork which develops the spirit of cooperation. 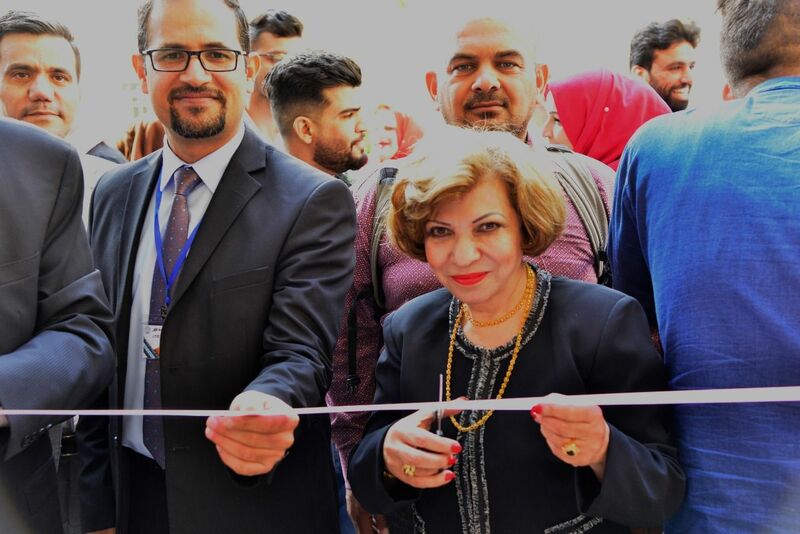 Thxis exhibition is another achievement calculated for the Faculty of Engineering, and the Dean of the College and the important role played by the Organizing Committee and students in organizing this exhibition. 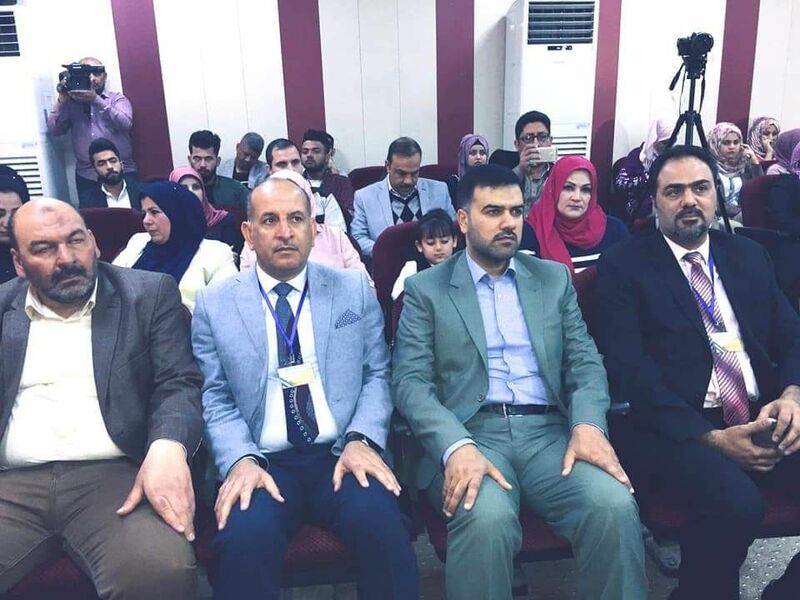 For his part, the head of information technology engineering, Dr. Ahmed Abdul-Saheb, thanked the organizing committee who did not spare any effort, despite their many responsibilities. He pointing out that the success of the exhibition is normal after the conversion of the working group to a working team. Everyone is confident in themselves and their contribution to increase the growth of constructive cooperation. The students mingle with professors in a collective work amid an atmosphere of love and respect. 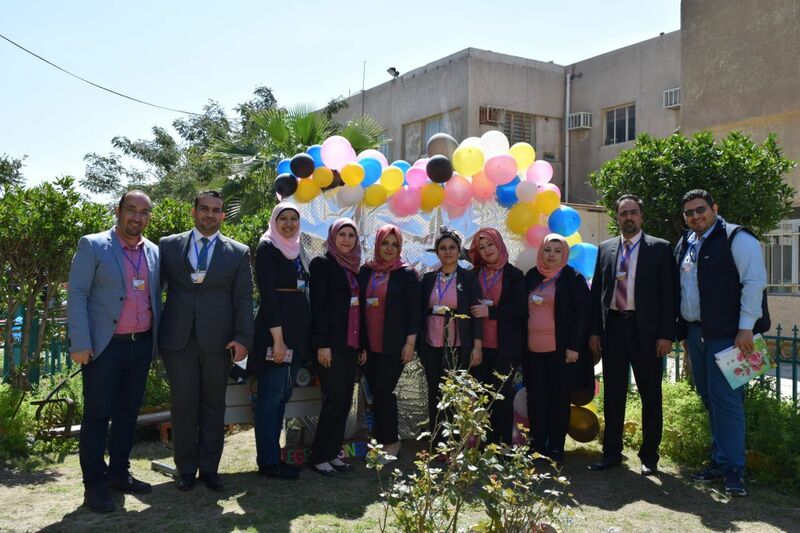 The annual exhibition of the Faculty of Engineering included the display of paintings, handicrafts, crafts and design skills, art of cooking food and sweets, as well as artistic paragraphs, poems, and sports and magic. The organizers also began to sell gifts from paintings, handicrafts, food cupboards and sweets to go to orphanages. 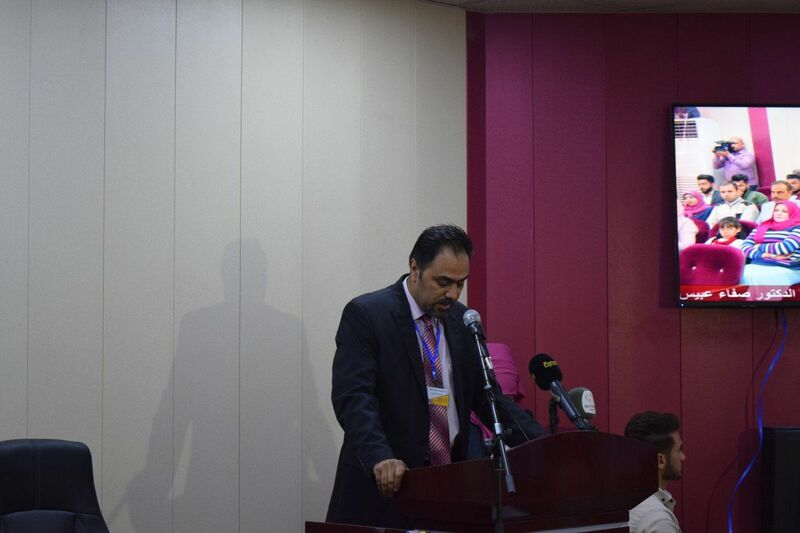 At the end of the exhibition, the Assistant President of the University for Administrative Affairs Dr. Abbas Fadel Al-Jubouri gave a speech on the importance of collective and volunteer work for students, stressing the importance of student activities and its role in developing and discovering the creativity of university youth.